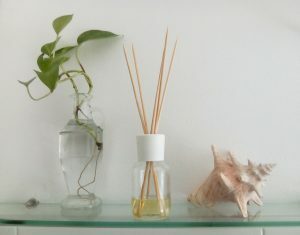 Fragrances play a major role in our daily lives by adding richness to the things we see, bringing back childhood memories, and creating a general sense of wellbeing. Just taking a look at all the scented candles and home deodorizers sold in stores is a big indicator of how much we all value fragrances in our lives! Until recent years, fragrances had to be obtained from flowers and herbs, but today we mostly synthesize them through chemical processes. Because of some regulation loopholes in labeling guidelines, “fragrances” in products are protected as trade secrets, so their ingredients do not need to be listed. As you can imagine, there are thousands of synthetic ingredients that can be used in making fragrances, but only about 20% of them have actually been tested by the International Research Institute for Fragrances. By the way, fragrances and all other ingredients used in cosmetics are not regulated or tested in any way by an independent body; it is up to the cosmetic company to ensure its own product is safe. So, due to lack of testing and transparency, it’s not surprising that synthetic fragrances have been found to cause headaches, nausea, eye irritation, allergic reaction, asthma exacerbation, coughing, and skin irritation, among other things. Fill a glass bottle or small vase about ¼ of the way up with a carrier (unscented) oil and add about 30-40 drops of your favorite essential oil to it. Place about 5 wooden skewers into it (the more skewers, the stronger the scent) and you should notice the lovely fragrance in the room within 3-4 hours. Want to get creative with it? Find some thin branches outside that can be substituted with the skewers for a more rustic look. Find a wide mouthed jar and pour in enough baking soda to roughly cover the bottom inch and add about 30-40 drops of your favorite essential oil. 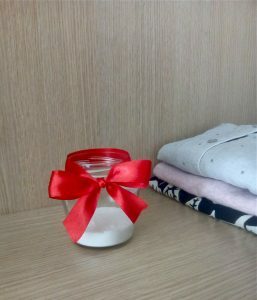 You can cover the jar with gauze or a lid with big holes in it, but I like to keep mine open with just a ribbon around it for color. Whenever it starts to lose its scent, just give it a good shake or stir. Since the essential oils spread a beautiful scent and the baking soda captures unwanted ones, I like to keep mine in sock or clothes drawers, as well as in the bathroom. I love how my socks and clothes always smell of lavender! In a preferably glass spray bottle, pour in equal parts water and alcohol (either vodka or rubbing alcohol). Add about 30-40 drops of essential oil, screw on the sprayer lid, and give it a good shake. The alcohol helps make the spray evaporate more quickly, but just beware that it also may discolor some surfaces after many uses. 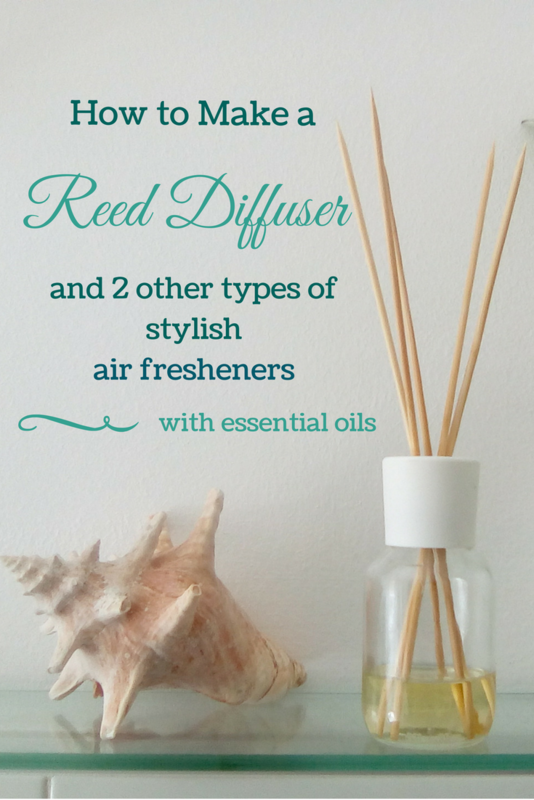 You see, there are plenty of ways to make your home smell wonderfully fresh without using nasty chemicals. The best part is that, with some creativity, some of these can become not only beautiful decorations for your home, but also thoughtful gifts! 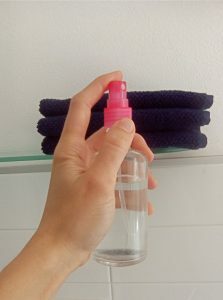 For more natural home care, check out my secret weapon for cleaning and disinfecting here.